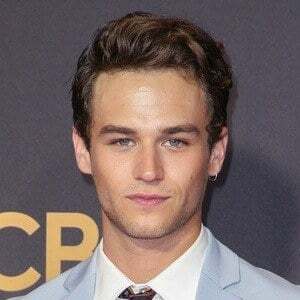 Actor who had his breakthrough role as Justin Foley in the Netflix original series 13 Reasons Why. He graduated with a Bachelor of Fine Arts degree from Rutgers University's Mason Gross School of Arts. He was cast in an episode of the CBS series Braindead. He starred in a Vineyard Theatre musical called Kid Victory. His mother's name is Debbie Flynn and his sister Danielle helped make him an uncle. He began dating singer Sam Smith in 2017; but the couple eventually split in 2018. He plays Alisha Boe's on-screen boyfriend in the Netflix series 13 Reasons Why.